Baby Alive dolls are one of the latest crazes among young girls and young boys. These dolls are designed to be ‘realistic’ and need looking after, just like a normal baby (they are not quite as demanding, thankfully!). These toys are great for interactivity and it is unlikely that your child will be disappointed with one. In fact, it is likely that they are going to play with it a lot. 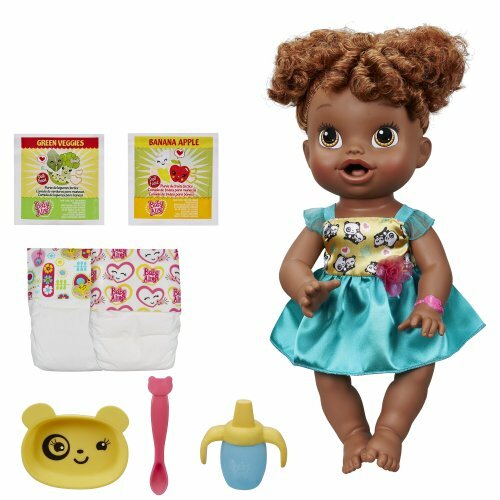 We are going to look at some of the most popular Baby Alive dolls around at the moment. These are also some of the best. We have carefully selected these dolls based on their quality, as well as ensuring that we cater for a huge array of different budgets. We are starting this list with a rather basic toy. 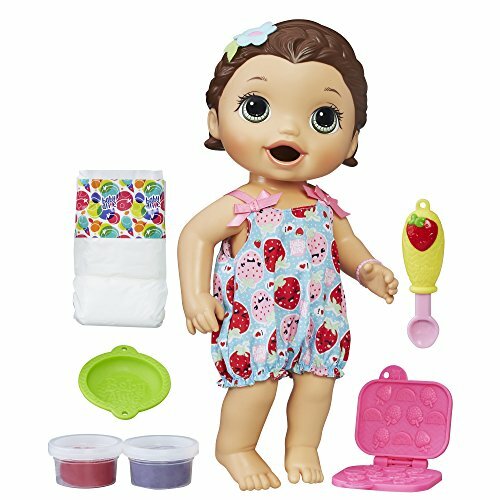 This means that this baby alive doll is going to be perfect for those parents who are working to a budget. This toy, as the name suggests, involves feeding snacks to the kid. This means that it is quick and simple as a toy. The best part about this toy is the fact that the children are going to be able to craft the snacks themselves. It comes with a nice set of molds for that. Of course, once the baby has been fed, the food has to come out somewhere. Thankfully, the doll comes with a diaper which your child can change! This doll is very well-made. This particular doll is almost made for those children who love to style the hair of their dolls. It comes complete with a hairdryer and numerous hairbrushes. While the Christina Doll only comes with one set of outfits, the vast majority of doll outfits that you can buy on the market should be able to work with her! This doll is all about styling the hair. Christina comes with some good locks which means your child will be able to come up with all sorts of wonderful creations. We certainly see this toy as perfect for those children who are planning on becoming budding hairdressers! 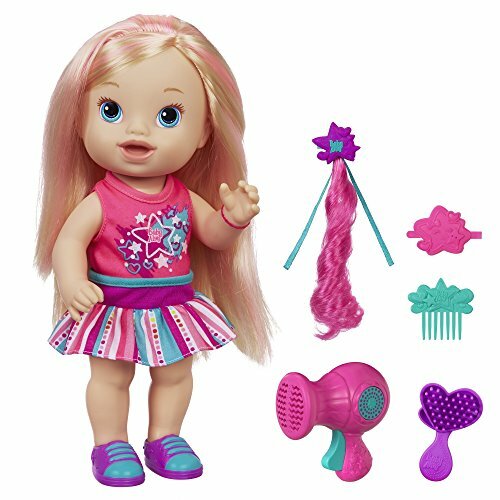 As mentioned previously, this toy is very well-made which means that your child is going to be able to brush the hair over and over again without really messing up the look of the doll. You will be surprised at how resilient the hair is! 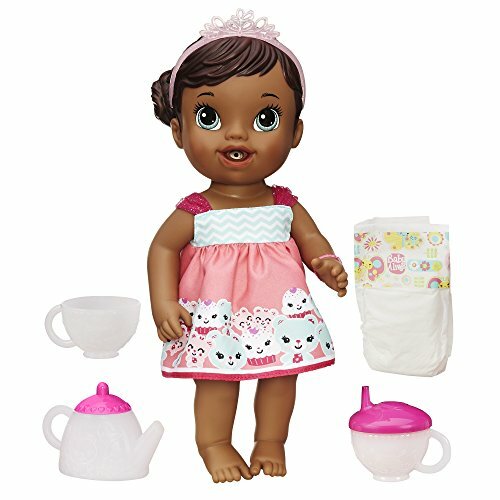 For many people, one of the biggest complaints about dolls out there is the fact that they are well, at the risk of sounding racist, white. This particular baby doll breaks that trend. It is African American. Of course, that doesn’t matter too much in the grand scheme of things, unless you are looking for a doll with that skin color. This toy has been designed to have tea parties with. Your child will be able to pour the doll a drink. She will then drink it. She will then wet her diaper where it will then need to be cleaned and changed. Basically, this Baby Alive doll is going to be very much traditional fare in that regard. If you had a baby alive doll when you were growing up, then it is likely that you will have had something very similar to this in terms of the actions that it performs! This particular doll has been made by Hasbro. As you may well know, Hasbro are one of the largest manufacturers of dolls in the world. This means that they know how to put something together that is pretty special. Remember, their reputation relies on it! When you get this, you can be sure that it is going to give your child a lot of use. It is not like those cheaper dolls on the market which are going to break the second that they are put under any pressure! My Baby All Gone is, without a doubt, one of the most popular baby alive dolls in the world. You may have seen the adverts on television! This doll eats and drinks just like a real baby. Of course, she creates a mess in her diaper just like a real baby too! 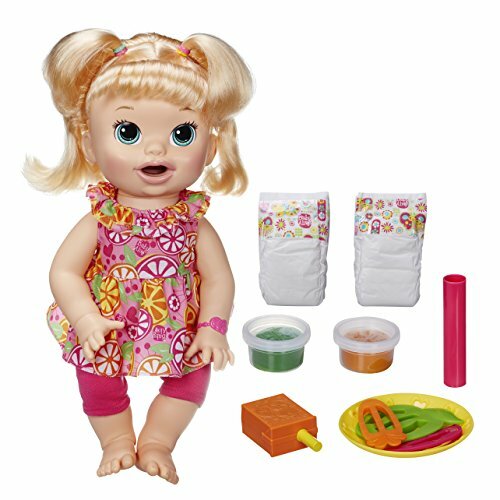 The doll has over 30 different reactions when she eats and drinks. This means that it is going to be highly interactive for your child. One of the things that we particularly love about this doll is those different reactions. This way your child is going to always know how their doll is feeling so that they will be able to interact with it accordingly e.g. if the doll says that they have made a mess in their diaper, the child is going to know what to do! Finally, this is another toy which follows along the same lines as the super snacks one that we mentioned previously. This one comes with slightly different snacks, however. In addition to that, this one is able to drink too. The doll comes complete with a number of phrases (only available in English) which they are going to be able to communicate to your child. This, once again, means that your child is going to know exactly what is going on at all times! Remember, when you are looking to purchase a Baby Alive doll, you should always opt for the best one that you can afford. These dolls are going to be incredible amounts of fun. This means that your child is probably going to be playing with them a lot. The last thing you want is a cheap toy which is going to fall apart on them! Providing you only opt for toys from some of the best manufacturers and providing you read the reviews of the toys that you find, then you can be sure that you are going to end up with something good.